The processionary moths associated with coniferous trees are, by far, the most important insect defoliator of pine and cedar forests in the Mediterranean Basin: in terms of their temporal occurrence, geographic range and socioeconomic impacts. The pine processionary moth, Thaumetopoea pityocampa, has expanded its range substantially (both northward latitudinally and upward altitudinally), because of warmer winter temperatures that allow greater survival of overwintering larvae, although the situation in North Africa and other Mediterranean countries is still poorly known, especially at the southern edge of the range where retraction is expected. At the same time, the cedar processionary moths (Thaumetopoea bonjeani in North Africa, T. libanotica in Lebanon, and T. ispartaensis in Turkey) are threatening the survival of relic forest of native Cedrus in the Mediterranean mountains. The first Processionary Moth Meeting was held in Hammamet (Tunisia), from December 6th to 8th 2018. This meeting, hosted by members of the EFI Mediterranean Network, brought together the North/South Mediterranean processionary moth network from Turkey, Italy, France, Lebanon, Tunisia and Algeria, in connection with the northern and southern climatic limits, to address not only the range issues but also other aspects such as phenology, impacts, and development of efficient bio-control measures. Three themes of the working group have been addressed: (i) Genetic patterns, (ii) Climate change and processionary moths and (iii) The parasite complex and control measures. 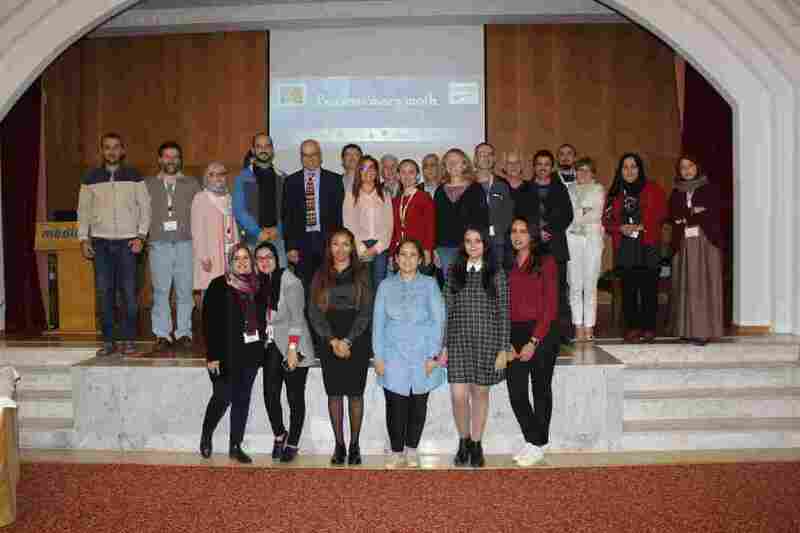 The meeting was attended by 25 experts coming from six Mediterranean countries with presentation of plenary lectures, oral communications and posters. One day before the meeting a workshop was organized and a brainstorm on processionary moths was conducted. All partners were involved to emphasize aspects related to these pests as a factor threatening the survival of the pine forest facing the Sahara and the mountain forests in the area. We gathered key words and objectives to prepare a draft for the European Commission’s Partnership for Research and Innovation in the Mediterranean Area (PRIMA) project. Finally, two recommendations were suggested for the next meeting: (1) interaction between processionary moths/host plants/parasitoids and (2) strengthen the collaboration between partners in all trans-disciplinary research. General recommendations focused on species invasions in new habitats and bilateral projects. Article by Olfa Ezzine and Samir Dhahri from INRGREF.